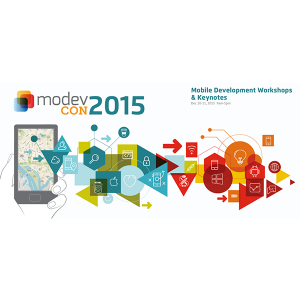 On December 10th, Senior Product Manager Jonathan Hotz presented at this year’s ModevCon 2015 Conference in McLean, Virginia. ModevCon is a conference that aims to convene conversations that are transforming the world through disruptive technology. It was held from December 10th to December 11th. Jonathan’s presentation, titled How to Match Your Mobile Strategy to Your Mobile Users, described the process of designing and developing a mobile application for a customer using a real-world case study. His presentation outlined the full process of building a mobile app, with a focus on finding the primary drivers of any mobile strategy to ensure that mobile products will meet the anticipated users’ needs. The presentation concluded with a brief Q&A session. Below is a video of Jonathan’s presentation in full. Jonathan’s slideshow presentation is available for viewing below.